I have been doing a lot of exercises ever since I noticed that I am not well-fit. Although I started initially with few simple routines, I am quite sure and confident that I have been through a lot when it comes to matters relating to fitness and health. Apparently, I have a little to few knowledge about exercises and workout routines when I started. I tried to get acquainted with the different sets of exercises as I dwell on improving my overall physique and body structure. Recently, I have come across an article about Street Workout Routine and other trending exercises and I am very much surprised that there are such things nowadays. Although my main goal is to look for additional routines to improve further my exercises, I am still quite in awe about these things. Upon reading and learning what street workouts are, I realized that routines are actually forms of calisthenics but pretty much the enhanced versions of the traditional ways. Consequently, it seemingly appears that only a few knows very well what really is calisthenics. It is important to note that knowing basically and intensively what calisthenics is or even how to start calisthenics - can largely help you in your fitness journey. While others may know this already, a deeper understanding about this can certainly cater you assistance especially if you are planning to purchase calisthenics equipment for your home-based exercises. If you are not that kind of person who very much focuses on physical fitness and such, you would probably ask as well what is calisthenics. The same is true for beginners in the recent times, it seems that only a few could really explain well the real truth about calisthenics. By and large, calisthenics workout routine is a body-weight training. The exercises are usually consisted of routines that involve gross motor movements. These movements include running, walking, standing, and a lot more. More often than not, the simple exercises that you do on a daily basis are actually calisthenics. I am quite surprised as well when I learned about the said program. I started my fitness journey by doing simple and usual workouts and routines. These routines most of the time include sit ups, jumping jacks, crunches, and other common exercises. Little did I know that these “simple” and basic exercises are apparently the very exercises of a usual calisthenics program. The very essence of calisthenics exercises is that they are intended mainly for body-centered training. Hence, all exercises and routines of calisthenics are for the purpose of increasing body and muscle strength, flexibility, and improve overall fitness appearance and state. Additionally, when you perform such routines and exercises on a daily basis – you are not only improving your overall strength and fitness state but also you are allowing your body to enhance muscular and aerobic conditioning. You may as well obtain benefits of improving your agility, balance, and overall coordination. Personally, my fitness journey is quite an achievement for me. I started with the most simple routines then I consequently focused to doing calisthenics abs which I benefited a lot. While a lot may see calisthenics as boring and tedious types of workouts and routines, these traditional exercises are apparently some of the most essential routines that could help you succeed your fitness goals and alike. Furthermore, these exercises are largely available even without the use of huge equipment and can be done anytime, anywhere. You could also omit the need for you to go to gym and fitness centers by side simply applying the calisthenics workouts and routines to your daily ways of living. Such exercises are significantly essential and important since not all people have the adequate resources to come to gyms and attend training programs just to achieve their desirable fitness appearances and fitness goals. Who doesn’t know jumping jacks, right? In actuality, the real question here is – are you doing it right? Well, jumping jacks are done rightly with the use of both feet and arms. Although this specific exercise is quite basic and easy, jumping jacks are very beneficial especially if you are focusing on improving your overall strength. Crunches are likened to sit ups but apparently the movements are much shorter and more concentrated on the abdominal area. As for sit ups, the movements are as well concentrated but much longer than the crunches. You have to bring your whole torso area closer to your knees. One great example of shoulder calisthenics is the push up since shoulders are part of the things that are being improved and enhanced when you execute push ups. Conversely, the chin up routine is a variation of the pull up. Accordingly, the very thing that differentiates the two exercises from each other is the handle or the grip. When you do pull ups, the grip is in normal state while when you do chin ups – the grip is reversed, facing towards you. In doing squats, you actually train and improve your hamstrings, calves, and quadriceps. Today, squats are usually considered to be a part of leg trainings. Another exercise wherein you could improve your chest, triceps, and deltoids is the dip. To execute dips properly, you should use calisthenics bars wherein you could place yourself adequately in between these parallel bars. Personally, I believe that these are the most efficient calisthenics equipment as I was able to obtain these things over the years. Although I pretty much recommend for you to have your own calisthenics gym inside your home for the sole purpose of convenience, you don’t actually need to purchase them all. Accordingly, some people often ask me why I recommend all of these equipment. My answer is that when you intend to enhance, train, and improve your overall appearance and fitness conditions, these calisthenics equipment can largely help you achieve those things. On the other hand, you may still try to start little by little and one by one. You just have to know what would be the best equipment to start with. Power Tower is the calisthenics equipment that I best recommend especially for beginners. When I started focusing on my fitness routines, I didn’t actually know what specific equipment to purchase. Although I was informed that doing calisthenics doesn’t require any use of equipment, I find Power Towers very much helpful. Apparently, Power Tower is an all-inclusive calisthenics equipment. 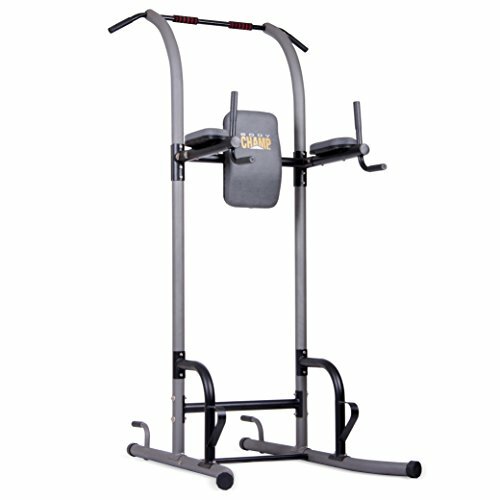 You could actually do a lot of workouts using this equipment including leg raises, dips, pull ups, chin ups, and a lot more. This is one reason why I consider Power Towers as a complete calisthenic equipment for home. The best product that I could recommend is the Body Max Body Champ Power Tower. What I love about this product aside from the affordable costs is the ease of use and the convenience it brings to my training. Although this is not my first Power Tower in the course of my calisthenics training, this is what I would always tell my friends to buy when aiming for a complete calisthenics training equipment. As the name states, a pull up bar is used mainly for pull ups. I started my calisthenics training program with the pull up bar since I don't have much resources to go for a Power Tower. Although this only focus on pull ups and chin ups alone, this is a good start. Learn how to use pull up bar at Fitday.com. There are actually two versions of these calisthenics bars. Firstly, the doorway chin up bar which is actually much cheaper than the second type. This version of pull up bar is usually fixed between frames and that is why I don't recommend this if you are going for a heavy duty kind of calisthenics training and workout. On the other hand, the second version is the wall mounted types. While both bars are safe and secured, the wall mounted types are largely intended for heavy duty purposes. However, the costs can be quite higher than the first one. In my own calisthenics equipment home set, I actually have a Garden Fitness Maximiza Pull Up Bar. It is a wall mounted type that can be used for different kinds of heavy duty calisthenics workout routines. I weigh no less than 200 lbs and this pull up bar seems to get hold of my full body weight. Furthermore, I could efficiently execute hanging leg raises, chin ups, pull up, situps, and crunches with this bar. During my training periods when I mainly focus on my upper body parts, I tend to use dip stand since dipping is significantly one of the most efficient calisthenics exercises to strengthen the upper body part. Similarly with the pull up bars, there are actually two kinds of this – fixed and not fixed. The fixed dip stand are actually much more stable, safe, and sturdy but note that they come with a strict and fixed width. Consequently, the width may either be too wide or to narrow for you depending on your height. 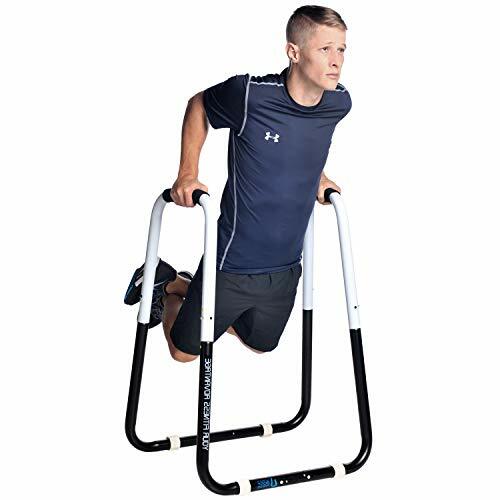 As for the other kind of dip stand, it actually requires you to set and install first all the needed parts before you could use it and start your training. I am very much strict with my upper body part trainings. Hence, I would recommend for you to try the Ultimate Body Press Dip Bar Fitness Station since it is very much stable and sturdy. In addition, this stand comes with a great ergonomic design which I like about this equipment. 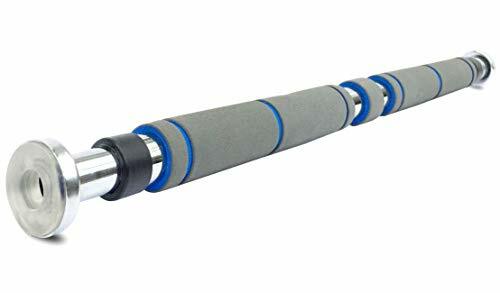 Based on my former knowledge, all I know about foam rollers is that they are usually used by athletes and active people that are most of the time being subjected to therapies. Although all of these things are true, my knowledge about this equipment is limited before I entered the world of fitness and calisthenics. When I became a real enthusiast of calisthenics, I learned that foam rollers are widely used to ease pain and stress from the muscles. On an average note, tight muscles and trigger points are the main targets of foam rollers. It is quite impossible if you don’t or won’t experience this when you start to be active. Weekly or biweekly, I tend to use the foam rollers especially if I overworked my routines and exercises. As of the time being, I am actually using the LuxFit Speckled Foam Rollers. One great reason behind why I chose this roller is that it has a 3-year warranty which I am pretty much sure a good deal. 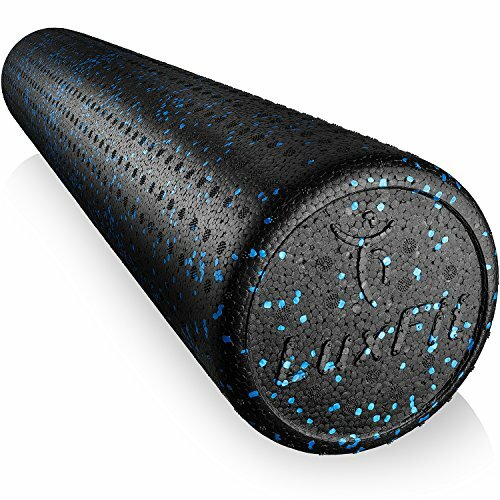 It only shows to me that this foam roller can actually meet my utmost expectations and satisfactions at all times. Although you could efficiently do ﻿﻿push ups without using any equipment, push up bars can apparently train and enhance your push up routines. In my experience when I was still a beginner, I really find push ups challenging and daunting. Nevertheless, I focused on perfecting the said routine since I have mentioned that I am very strict with my upper body trainings. Hence, push up bars helped me greatly in improving my push up routines. Generally, they are actually cheap and inexpensive which is a good thing for me when I was still starting my calisthenics journey. 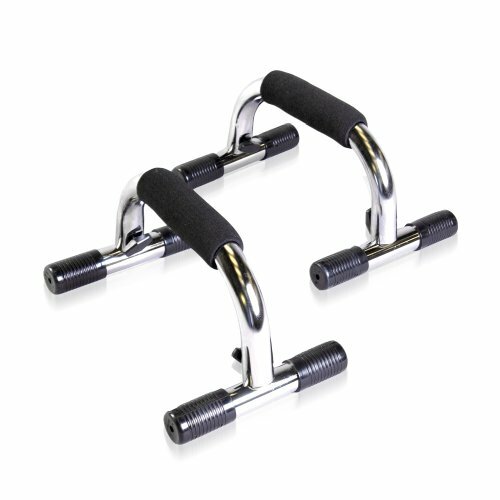 As time passes by, I learned a lot of push up variations with the help of my push up bars. Now, if you are to ask what bars I Might currently using – well, I would be glad to let you know that I am greatly enjoying my CAP Barbell Pair. The cost is actually average but not as cheap as the usual push up bars of today. However, if you are to consider the quality of the product – you will eventually notice that the cost is a good price to pay. The handles of the pair is chrome plated which is a great quality of material. Also, it is very much stable and sturdy. As time passes by, my trainings are getting much easier than before. It is as if that I am already used to my routines and workouts. When I felt this, I knew that I am no longer benefitting efficiently from my workouts which then resulted for me to try and find ways to challenge myself for the better. I thought of adding weight to my routines, hence, this paved ways for me to get acquainted with the weighted vest. 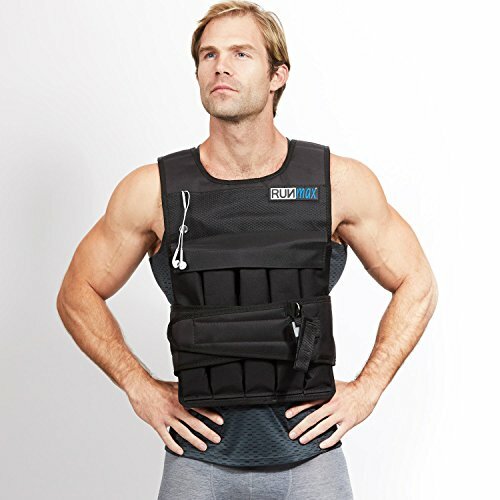 The very first vest I purchased was the RUNFast/Max Adjustable Weighted Vest rated at 80 lbs which can be adjusted from 12 lbs up to 80 lbs of total weight. Alongside the sit-ups and crunches or even planking for the purpose of abdominal strength, there is one type of calisthenics equipment that is manufactured solely for the purpose of toning and strengthening of the midsection. I used ab wheels in the middle of my programs since I find these equipment as additional equipment already. The wheels are placed in the abdominal sections and being rolled in and out with the use of the body weight. The movement or the rolling itself is quite very helpful especially when I already focused on my abs, back, and core. Currently, I have with me in my home the Valeo Ab Roller Wheel. 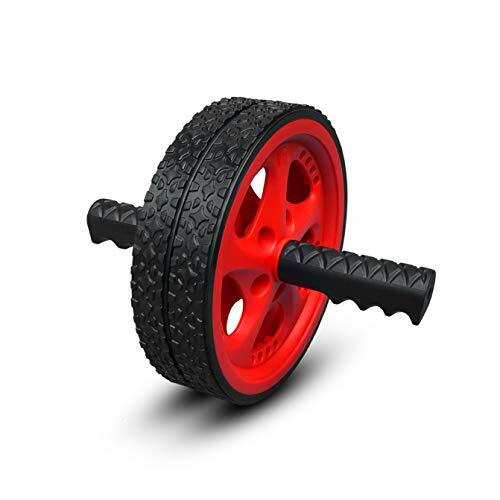 The wheels of this product is added with enough stability to help you effectively on your routines. Learn more about its benefits at Livestrong. Additionally, the wheels are made to be non-skid just to simply add stability, firmness, and alike. Calisthenics exercises are largely for strength training but note that cardio is as essential as the strength and core training. While you improve your overall endurance and build gravely your core, you are to burn the excess calories when you include the cardio. By and large, there are actually a lot of activities and routines you could do to execute cardio training bit as for me, what I think was efficient when I was still learning the basics and essentials of calisthenics was the jumping rope. I know for a fact that jumping ropes can increase and boost the heart rate. Hence, I use this equipment as a means of training for conditioning my body. Now, there are quite a lot of jumping ropes available today. 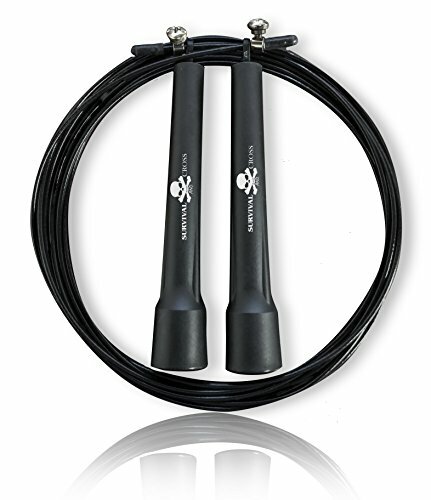 What I would recommend for heavy duty purposes is the Survival and Cross Jump Rope Premium Quality. Apparently, it is the one of the best seller in the recent times among all jumping ropes in the market. The materials used in this jumping rope is off the highest qualities. There is a reason why it is always sold out in the market and most of the consumers are actually MMA fighters. You may read: t﻿﻿he jump rope reviews. Here, you may access this list for you to find out the most suitable and best ﻿﻿seller jumping ropes on Amazon​. Before I started my journey to having a fit and healthy lifestyle, I though fitness and stability balls are largely intended for the women. However, as I am becoming an enthusiasts of the calisthenics, I found out that fitness balls are great equipment to harnessing the calisthenics routines. I myself became a believer that these balls are essential to different workouts and fitness routines especially for planking, push ups. Many would find it actually odd but when you immersed yourself into the world of calisthenics, you may find that fitness balls are quite helpful to different kinds of exercises. 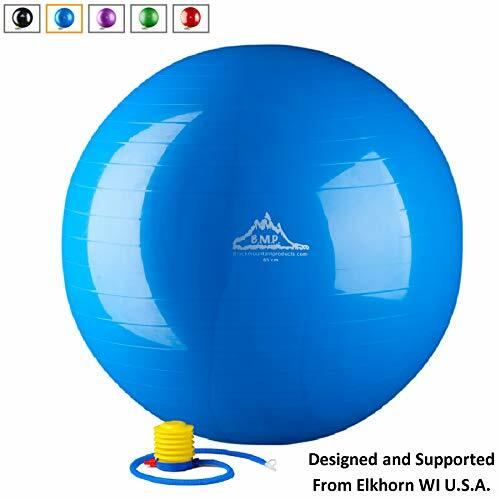 As a beginner, what I usually ask for people to buy is the Black Mountain 2000lbs Static Strength Stability Ball. Although a lot consider this fitness ball as an advanced type already, I find this ball very flexible to each and every user. Black Mountain is a prominent brand that produces these kinds of equipment. All products made by the said name have become today's top picks in the world of fitness and wellness. As such, these fitness balls are certainly of the highest quality that meets every user’s expectations. Well, it did for me. Suspension training is actually a strength training that uses systems of ropes and webbing. This kind of training is one of the most effective and efficient for my case. I was able to fully enhance and improve my overall core conditions. With that being said, I was very eager to put up my own suspension trainers at home when way back. The systems of ropes and webbings is largely challenging to install but the effort is really worth it. My strength training are even more reliable since I started using the system. In actuality, I sought for the best quality in the market that time. 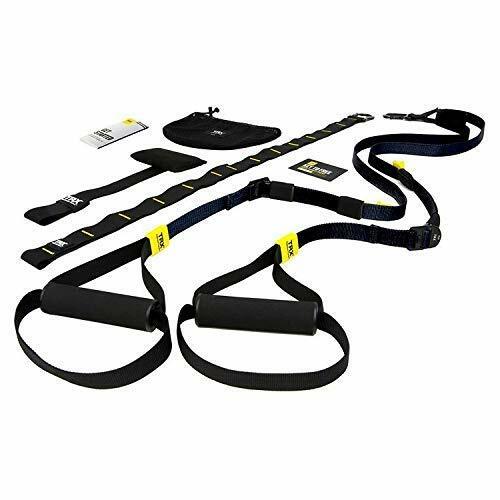 Accordingly, I was able to find one – the TRX Training Go Suspension Kit. While this kit is both accessible to indoor and outdoor use, I installed mine inside my house together with all the other calisthenics equipment I have. Find the best suspension trainer review here. The kit includes all the needed materials and equipment for a complete session of suspension training. Moreover, the trainers are very light and lean which makes the kit a worth-it tool in totality. In totality, calisthenics exercises are very easy and simple. The basic exercises and fitness routines that you may be doing since then are apparently part of the so called program. While only a few may know these things, it is important for you to fully understand what calisthenics is, the importance of it, and the specific exercises if you want to apply the said street workout to your daily routine. Moreover, having a proper knowledge to these things can largely help you choose the most suitable calisthenics equipment for home use. The top 10 best calisthenics equipment for home that I have given above are all essential to calisthenics. Although you could work on your daily routines and exercises without these at first, you may still want to invest on such equipment since these can significantly make differences and contributions to your overall fitness goals. Who knows, you may have your own calisthenics home gym real soon and make things easier for you to keep improving and maintaining your fitness and wellness state.